My Wey of Life: Happiest Day! Thanks Nuffnang! and Tax Refund! Wednesday is the greatest day in my life. Simply because it is my off day. I get to do whatever I wanna do on Wednesday... like shopping.. relaxing.. reading.. surfing.. eating...But today.. is extra special! Joe, Bo young and I met up with Rachael for lunch at the pancake house in the city. I had the Mushroom crepe and gosh.. I was so full after that! But I prefer Rach's Chicken Mexicana Crepe. It was so nice and big! I was like in the dreamland! But it is really good and useful!!!! Plus it is kids size! So it is wayyyy cheaper than the adult ones! 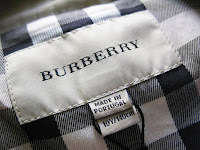 It fits perfectly, length is good, and it is CLASSIC BURBERRY! I'm so happy~! 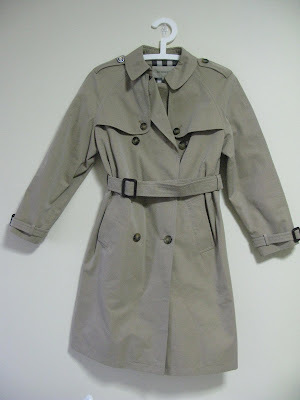 Even Joe said this is a good one as I never have a decent looking coat in my wardrobe. 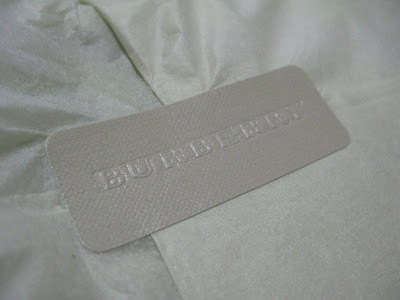 Down side is, I cannot buy any coat for at least a few years... oh well, WORTH IT! 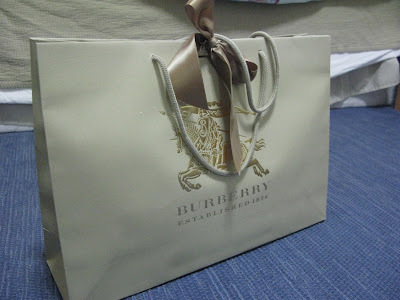 After Burberry, we went to immigration to get Joe's passport a PR sticker. It didn't take long. Very impress. I used to wait like 1 hour to get mine done. After everything, we went home. I got a package!!! At first I thought it was polaroid film that i bought from ebay. Until I saw this sticker! Nuffnang!!! 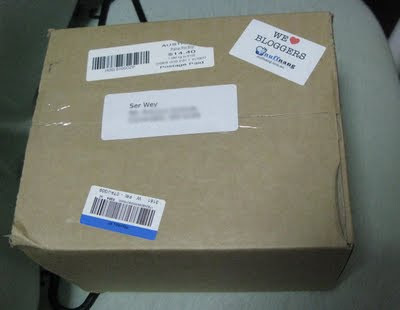 Nuffnang sent me something??? Wow! what's in there?? So excited and happily open the box and found lots of item in there! 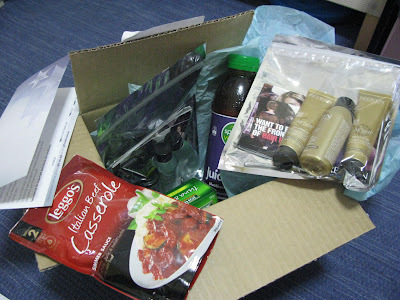 A Gift card, Leggo's casserole, 2 packet of Redken hair and body products, Spring Valley Tea and John West Tuna! Useful things and FOOD! I love! 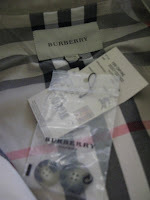 Thanks Nuffnang for the surprise gift!!! I lurve Nuffnang! Join Nuffnang now! 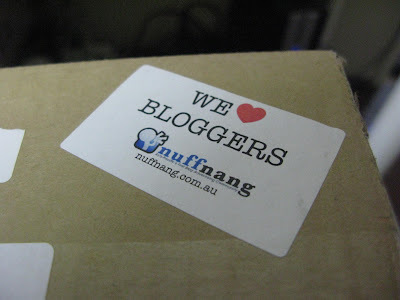 They are currently aiming to hit the target of 1000 people to be the Nuffies in Australia! They got 800 Nuffies members at the moment. 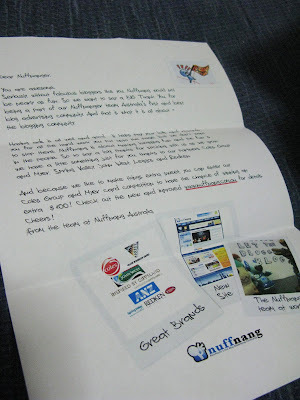 If you are a blogger, join Nuffnang now!